The new Bentley Continental GTC is as quick as the coupe despite being heavier than its hard-top cousin. 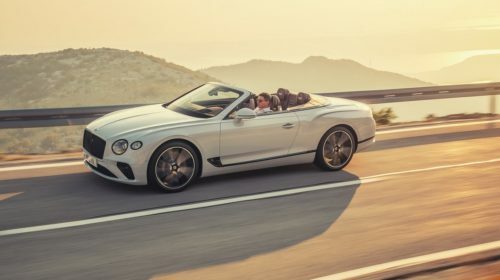 A year after the reworked Continental GT was revealed, Bentley has taken the wraps off the new GT Convertible as well. But, Bentley didn’t just strap a soft-top to the coupe and called it a day. The new convertible improves on most aspects of the last-gen car. Bentley has worked on the roof retraction time and noise reduction. The tailored soft top can now be deployed or stowed in 19 seconds at speeds up to 30 mph (50 km/h). The soft-top can be configured in eight colors including a bespoke tweed finish offered for the first time on the GT Convertible. It also features acoustic and sealing treatments that reduce cabin noise by up to 3 decibel. This means the new Continental GTC is just as quiet as the previous generation coupe. Interior, as one would expect, is of the highest quality in the business with top-notch leather and veneered wood all across the cabin. There is a 12.3-inch retractable infotainment screen complemented by a center console with chrome inserts. A new neckwarmer system has been integrated into the 20-way adjustable comfort seats. It has a heated steering wheel, seat heaters, new heated armrests and an 18 speaker Naim audio system. The GT Convertible has its posh and comfort credentials turned to eleven. Pulling this luxury chariot is a 6.0-liter W12. The engine is good for 626 horsepower just like in the coupe and connected to an eight-speed dual-clutch automatic transmission. While the coupe weighs a hefty 2244 kg (4947 pounds), the roof system unavoidably adds another 170 kg for a kerb weight of 2414 kg (5322 pounds) on the Convertible. 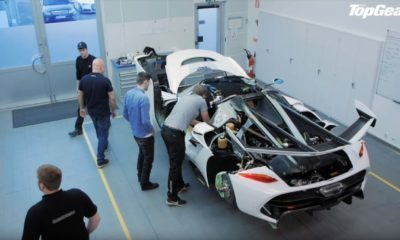 Not a worry since the Convertible sprints from 0-60 mph in just 3.7 seconds (0-100 km/h in 3.8) and has a top speed set at 207 mph (333 km/h), both of which are the same as the Coupe. Pricing is yet to be announced but it should be slightly more than the coupe’s $225,000 base price.